The government’s decision to create a national Goods and Services Tax Appellate Tribunal to adjudicate disputes is welcome. It will help in faster resolution and also bring uniformity in the redressal of GST disputes. Reportedly, the tribunal will act as a forum for second appeal and decide cases where there are divergent orders by the authority for advance rulings at the state level. This will reduce the burden on high courts that have a huge pendency of cases. The tribunal, which will mainly adjudicate disputes relating to the so-called place-of-supply rules, will be akin to CESTAT that was created to hear appeals against orders passed by Commissioners of Customs, Excise and Service Tax. The plan is also to set up three regional benches. The need is to appoint competent judges and have intelligent IT infrastructure to deal with cases that are referred to the tribunal. Today, the facility of advance rulings for GST allows taxpayers to know their dues in advance, and helps reduce litigation. However, problems have surfaced due to conflict between rulings by different state authorities. Rightly, industry has been demanding the creation of a centralised authority for advance ruling. And the GST Council has seen merit in this demand. So, amendments needed to the GST Act should be done swiftly to remove any tax uncertainty for businesses. Appeals against contradictory rulings by the Authority for Advance Rulings should be disposed of quickly. Strengthening the dispute resolution mechanism is a must. At the same time, the GST Council should make the tax regime and rules simple for their transparent, consistent interpretation. 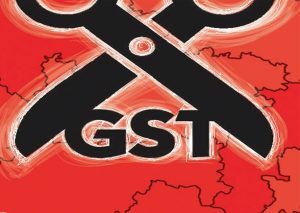 Fewer and lower rates will minimise classification disputes, reduce the burden on the judiciary and boost GST collections, as well as direct tax collections, once GST data is mined. The EVM debate is back — yet again! This is one controversy that refuses to die down, raising its head every few months. This time around, its epicentre was London. What was promised as a sensational demonstration of hacking by “cyber experts” from the US that would cause an earthquake ended as poor melodrama with an anti-climax. The “cyber expert” was one Syed Shuja, who claimed that he had taken asylum in US after he and his colleagues were fatally attacked since they knew too much about the “hacking” of the 2014 General Election and were countering it. Several persons, including his teammates, were murdered, he alleged, for the same reason. The “facts” mentioned by Shuja can be independently corroborated and I am sure concerned agencies would be doing their homework, as they must. I will stay with the debate about the hackability of EVMs. There is a well documented history of such claims. Besides individuals, every political party has raised doubts about these machines at some time or the other and demanded a return to the ballot paper. But they have also won elections with the same machines. Can ballot papers really change the picture? In July 2010, when the Telangana agitation was at its peak and 12 MLAs of the Andhra Pradesh Assembly resigned and recontested the by-elections on the issue, that was the time when the agitation against the EVMs was at its peak, thanks to the BJP’s campaign against EVMs. As the EC had turned down the request of political parties led by the tech-savvy Chandrababu Naidu to revert to ballot papers, the parties resorted to a smart ploy. Where did different political parties stand then? “The party (TRS) is opposing the usage of EVMs because it has reliable information that the Congress will try to manipulate the machines to win the polls,” said a newsmagazine report. TDP president N Chandrababu Naidu demanded that ballot papers be used in all 12 constituencies. “We have brought to the notice of the EC several times in the past that the EVMs were not tamper proof”, he said. Bandaru Dattatreya, president of the BJP in united Andhra Pradesh, said “We have been demanding that there should be a nationwide debate on EVMs. The TRS has used the right strategy”. Congress spokesman Kamalakar Rao said it was unfortunate the parties were doubting the EC’s integrity, forcing it to incur additional expenses to print ballot papers. Kahan gaye woh din? Post 2014, the BJP has been repeatedly accused of misusing EVMs, though nothing has ever been proved. One prominent leader even claimed the EVMs could be hacked in just 90 seconds! On the other hand, the EC has repeatedly challenged the conspiracy theorists to try their hand on the EVM. No party has accepted the hackathon challenges. It is important to remember that the decision to adopt the Voter Verifiable Paper Audit Trail (VVPAT) was taken in 2010, when, in the wake of the BJP’s campaign against EVMs, an all-party meeting made this demand, which the commission immediately accepted. The two factories which manufacture the EVMs were asked to develop VVPAT machines. The committee of independent experts was requested to monitor the process. After a series of trials culminating in two full-day election simulations in five cities in extreme climatic zones in 2011 and 2012 (Thiruvananthapuram, Jaisalmer, Leh, Delhi and Cherrapunji), the VVPAT was introduced, initially in 20,000 polling booths, where the first batch of the machines was used successfully. As the manufacturing progressed, all the booths in all constituencies started using these printer-based machines. In the last few days, some Congress leaders have been heard demanding that all EVMs must be linked to VVPAT and 50 per cent of VVPATs be counted. While the first is already being done, the second suggestion can be discussed. The current practice of counting just one machine per constituency in my view needs to be reconsidered. I was told by the then CEC O P Rawat that the EC had asked the Indian Statistical Institute, Kolkata, to suggest what would be the most scientific sample size that will lead to 99.99 per cent public satisfaction. What can be more reasonable than this? Let that be the clincher in the debate. Another example is that of government school teachers. With salaries presumed at Rs 40-50,000 a month and upwards, their lack of commitment to teaching is seen as unpardonable. While there is truth in the fact that teachers devote less than desired time to teaching, what is less understood are the reasons for this. The reality is that low financial allocations to the education sector have meant that state governments cannot afford to hire teachers at the Pay Commission scales. Therefore, over the years, they have hired fewer teachers, leading to huge vacancies, or resorted to various forms of contractualisation that allows them to circumvent the norms. As a result, salaries, in fact, range from Rs 3,700 per month to Rs 50,000 per month, for the same post and quantum of work in the same school. A case filed by teachers in Gujarat, showed that some of them were being paid less than even the minimum wages. Despite the Gujarat High Court ordering a revision of their pay scales, the matter had to come to the Supreme Court, where it has been awaiting a judgment for four years. In a recent visit to a Nutrition Rehabilitation Centre (NRC) in Madhya Pradesh, a staff nurse appointed on a full-time basis (also doing night shifts) was found to have a salary of just Rs 10,000 a month — information that is not available in the public domain. Similarly, RTIs filed by one of the authors, on the salary structures of teachers across all states, has come a cropper. It appears that this basic information is not collected in any systematic manner by any of the states, or by any national data collection agency. After the RTE banned contract teachers, non-regular teachers were no longer referred to as contract or para teachers, but in fact continue to function as such. Their contracts are “permanent”, but their terms are not that of a regular government employee. And, like the anganwadi, school teachers are saddled with a host of administrative work. The spectre of shortages, non-teaching duties and low pay indicate a rapid de-professionalisation of teaching and de-valuing of their core responsibilities. If the crisis of performance in these sectors is to be addressed a closer look at their governance architectures is necessary. The introduction of the VVPAT to allow for a paper count of the registered votes has also added a level of complexity to the otherwise simple technology that runs the EVM. The VVPAT was also rushed into service because of the constant carping about the possibility of EVM hacking by political parties. The VVPAT failure rates were high early on in elections held in late 2017 and early 2018, with hardware issues occurring during transportation and exposure to extreme weather conditions. 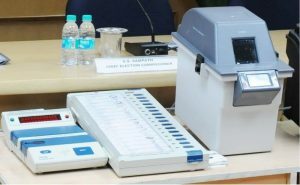 The ECI sought to correct these problems by repairing components related to the printing spool of the VVPAT machines and the deployment of many corrected machines in the three Assembly elections held recently — Madhya Pradesh, Rajasthan and Chhattisgarh — resulted in much reduced replacement rates (close to 2.5% in Madhya Pradesh and 1.9% in Chhattisgarh). This suggests that the ECI is relatively better prepared to handle VVPAT-related glitches in the upcoming Lok Sabha elections. The VVPAT’s introduction and use is also necessary to address doubts related to the possibility of EVM hacking despite the safeguards in place. Fortunately, the implementation of the VVPAT as a device has rendered it possible to verify if at all such schemes have happened to subvert the mandate of voters. VVPATs will help find if there is anything malicious that has gone on by comparing machine tallies with the hand-counted tally of the slips. Currently, the ECI allows for the votes recorded in the VVPAT to be counted in only one randomly chosen polling booth in each Assembly segment. Statisticians such as Atanu Biswas of the Indian Statistical Institute, Kolkata, and former bureaucrat K. Ashok Vardhan Shetty have argued that this is not enough. Mr. Shetty has suggested that a more robust count of VVPAT slips would entail the setting of a State-wise number of the booths to be counted, that is adjusted for population, voting turnout and other factors. This is a legitimate suggestion that the ECI should pay heed to in order to dispel any lingering doubts about the electoral process. In other words, the EVM has served the purpose which was the reason for its deployment by the ECI in the first place — to assure free and fair elections, and to ease the process of voting. Improvements to the EVM are certainly possible, but a return to paper ballots is an untenable proposition. In sum, the best possible way of improving upon our electoral process and bringing in greater trust in it is in a continuing and constructive critique of India’s EVM through a scrutiny of the election process including technical assessments of the devices used. But there should be no place for an uninformed dismissal of the EVM as a part of the discourse as this will only increase distrust in our democratic process.